Everything on your list of "wants" can be checked off at Sunridge Alta Loma. Spacious homes and townhomes with renovated interiors? We have them. Two car garages, fully equipped kitchens with all appliances included, washer and dryer in each home, fireplaces....we have those too! Resort style living with pools, spas, and fitness center....check! 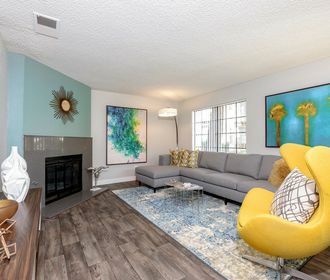 All of this waiting for you in your new home while surrounded by restaurants, excellent schools, convenient shopping and easy access to freeways.